Curtis C. Nesset came to Georgia Law in 1994. He serves as an instructor in the legal research and writing program and as director of the school's Capital Assistance Project. Nesset also teaches courses on document drafting and capital punishment. Nesset was a research scientist at the University of Utah College of Medicine in Salt Lake City from 1978 to 1982, specializing in the early detection of muscular dystrophy and the replication of poliovirus and rhinovirus. He joined the Salt Lake Legal Defender Association following his law school graduation in 1984 and worked as a trial and appellate attorney until he accepted a position as law clerk/research attorney for the Utah Supreme Court in 1987. 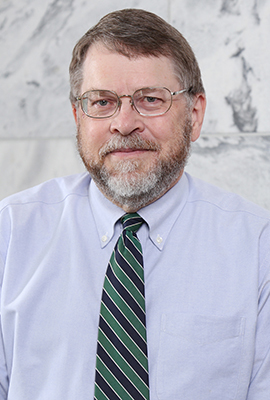 In 1991, he opened a solo appellate practice and, in 1992, joined the law firm Nygaard, Coke & Vincent in Salt Lake City, where he remained until joining the Georgia Law faculty. Nesset earned his bachelor's degree in chemistry from the University of Montana and his doctorate in biochemistry and his law degree from the University of Utah. He has worked as a scientist and as a lawyer and has teaching experience in both professions.